Australian wine gift in a wooden box. 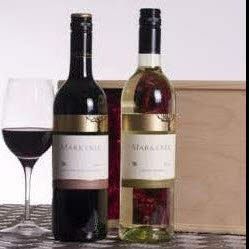 Two bottles of Marktree Australian wine in a gift box. Cabernet/Shiraz Victoria and one bottle Marktree Semillon/Sauvignon/Chardonnay.